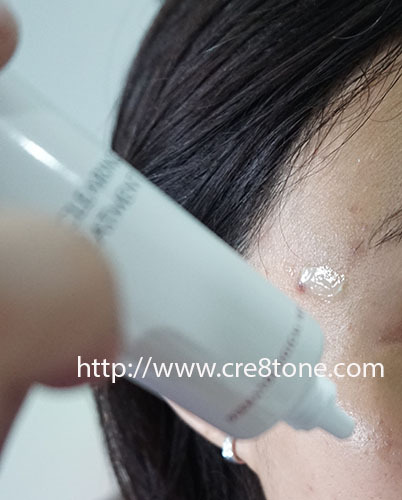 To reduce the appearance of comedonal acne. And prevent new blemishes from appearing. 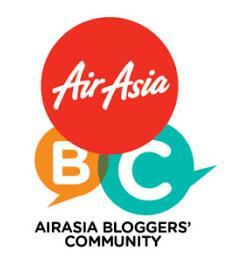 Or 5 lucky winner prizes of products wirth RM1,000 each. Which also includes cleansers, toner, scrub, serum and daytime moisturizers. Definitely easy to reduce the acne on your face right..I love it too..good for sensitive skin like mine..
Wah... Nampak pudar dah parut tu. 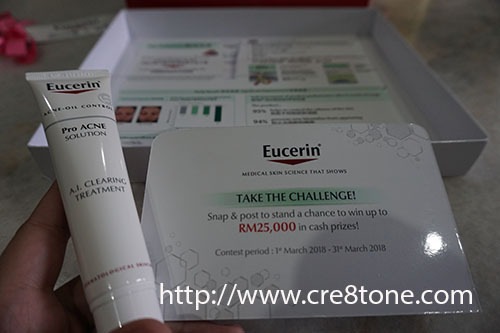 Ramai yang dah guna product Eucerin ni. Memang ada perubahan lepas pakai. Wah , definitely you are so happy with the result now. Ive heard about the brand but never tried before. Maybe I should grab one in the future. I've heard a lot of positive reviews on this product and it actually really looks promising! But i believe in most cases, it is about what product is suitable to your kind of skin, and it has to be on a consistent usage to get the desired result, kan? It is good that you find a great way to cure your acne. I had lots of acne when I was still a teenager. I tried to eat fruits that are said to be good in skin and also tried different soaps. I discovered one soap. It removed my acne but it made my skin dry. So it is really a good thing to find a solution to acne problems with no side effects. Memang sakit kalau kena jerawat. Mesti tangan asyik nak picit. Pernah hadapi saat ni sampai kulit muka sangat teruk dan kering, pedih! 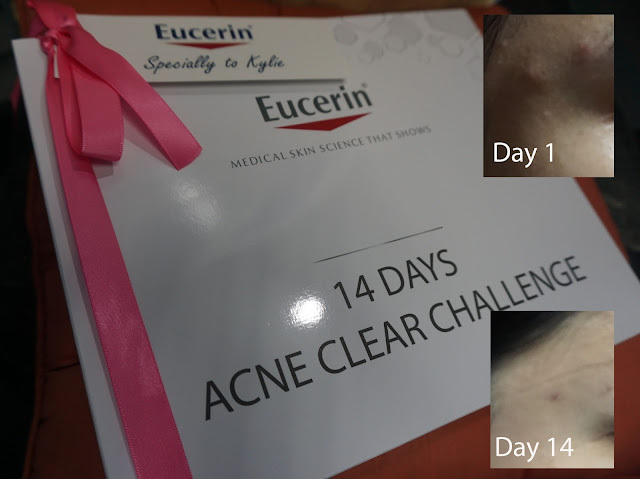 Dulu pakai DalacinT, bolehlah try Eucerin pula. Nasib sekarang dah ok.
Wow nice product, even though always keep face clean the acne Will find a way to merge from the face. With this product hopefully can put the acne away. Whoaa. This is so cool. It is good to see a real testimonial from you. I wonder if its longer than 2 weeks, the result must be awesome. Sounds like this totally worked for you! Want to look into it! I don't get acne nearly as bad as I used to when I was younger, but it still happens occasionally. Would be nice to be able to get rid of them quickly! time my face tengah breakout i feel lucky sebab waktu tu la eucerin sampai di rumah I, then i sapu the cream on my face, sekarang parut pun pudar the isi inside it kering without i picit at all recommended ! Oh you can definitely see the difference in the skin, so that is pretty impressive. 14 days is quite good to see the overall results and effectiveness too, so this product is certainly quite promising as well. I need to try this out. I sometimes get acne. My teenager could really use this! Great review, I've heard great things about Eucerin and how it helps with blemishes and acne. I had no idea that this brand even made acne treatment! I use their lotion almost daily! I have really sensitive skin and I break out easily. From what you are saying this seems like a great product. you really can see a huge difference. I bet you are happy. I haven't been sleeping very well lately and that means acne popping up when I don't want them to. I am definitely going to check it out to see if this product can help my acne problem. I've always found that Eucerin works well for acne and other skin conditions. Glad it works for you as well. I have been very lucky as my skin is not difficult and never had acne. But a few of my friends did have acne and they could have used this! What a great resource to have for those pesky breakouts. Seems like a great way to deal with acne. I never heard of this particular product before. Thanks for sharing. 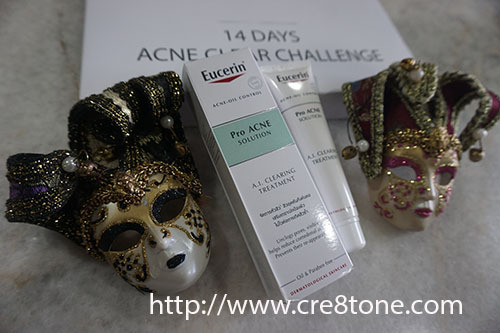 I heard Eucerin is one of the product that is good with fighting acne. I haven't tried it because I don't have a severe acne, but maybe soon. And I haven't heard anyone who got irritation with Eucerin. Eucerin, I never try before.But I saw a lot of good response from people. I will try next time because My skin also got ance . You had an amazing outcome! Dude I was so scared of those decorative masks when I was a kid though. I hate acne! Even at almost 40 years old, I still deal with breakouts. I so need to try this product! Looks like a promising product. I still deal with breakouts as well. However I've now completely given up on trying to treat them.